You have likely heard all about the infotainment programs Apple CarPlay and Android Auto. They are both innovative, modern marvels of automotive technology that keep us informed and entertained. They both do so by connecting to your compatible smartphone. 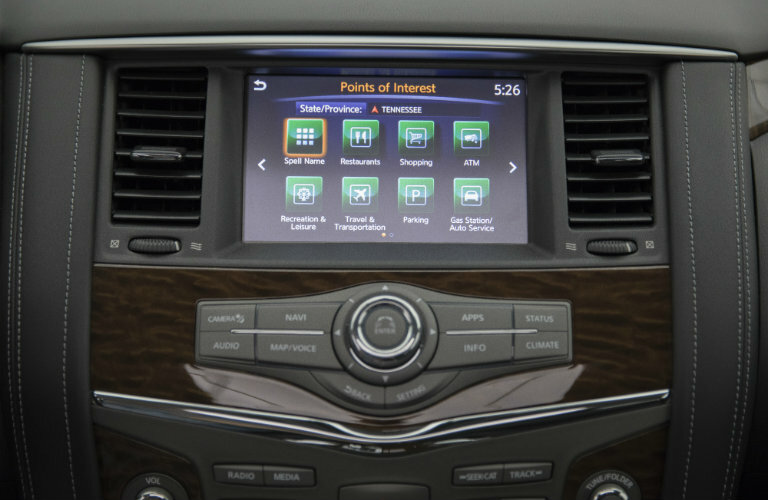 Each system can access certain applications from your phone and display them on your car’s front monitor. Keep reading to learn more about each program. You might also be interested in: What is Nissan Intelligent Mobility? How do Apple CarPlay and Android Auto compare? For starters, and this should be obvious, Apple CarPlay is compatible with Apple products. So the iPhone 7, 8, X, etc. will work with Apple CarPlay. Android Auto works for Android smartphones such as the Samsung Galaxy S9 and the LG V30. After that, their similarities run somewhat parallel but there are some differentiating factors. Check out our table below. You might also like: What is Nissan ProPILOT Assist? What Nissan vehicles have Apple CarPlay and Android Auto? Come by Nissan Guam to learn more about what these programs can do for you. Take one of our vehicles for a test drive and experience Apple CarPlay or Android Auto for yourself! What does ProPILOT Assist do? This entry was posted on Friday, June 8th, 2018 at 5:13 pm	and is filed under Technology, Tips & Tricks. You can follow any responses to this entry through the RSS 2.0 feed. You can skip to the end and leave a response. Pinging is currently not allowed. What is the 2019 Nissan Pathfinder Rock Creek Edition? What Nissan Intelligent Mobility™ Features are Available on the 2019 Nissan Maxima? What Features are Available with NissanConnect® Services on the 2019 Nissan Armada? What Level of Performance is Offered by the 2019 Nissan Pathfinder? What is the 2019 Nissan Frontier Midnight Edition®?